"The Twenty-Three Seconds and the… unpleasantness that followed are in the past. We should concern ourselves with the future. I think we’ll find a solution that will let us all get back to business as usual. Who knows? We might even find a way to come out ahead." 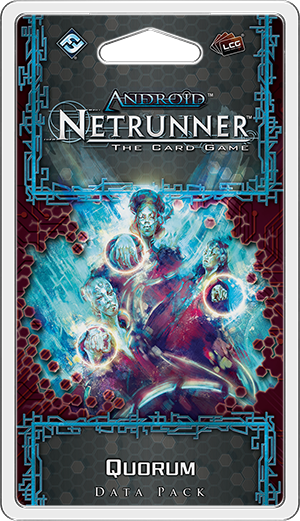 Fantasy Flight Games is proud to announce the upcoming release of Quorum, the climactic conclusion to the Flashpoint Cycle of Data Packs for Android: Netrunner! 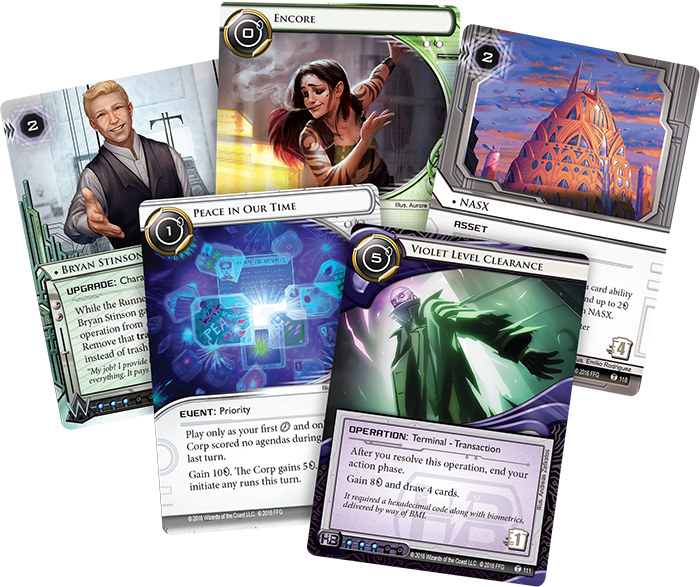 Accordingly, at the end of a cycle full of desperate and violent Corps, Quorum gives us sixty new cards (three copies each of twenty different cards) that focus on getting back to business as usual. That means you'll find the Corps investing in their futures, deploying advanced new economic operations, bribing powerful and highly connected politicians, and layering their servers with brand new ice. During the chaos, riots, and violence Ele "Smoke" Scovak (Intervention, 66) interrupted her usual casting in order to cover the news from the streets. 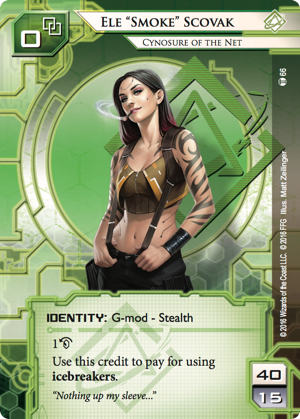 In Quorum, however, as the bloodshed subsides, Smoke turns her focus back to spoiling all the latest tech and backing up her claims with livecasts of her runs. 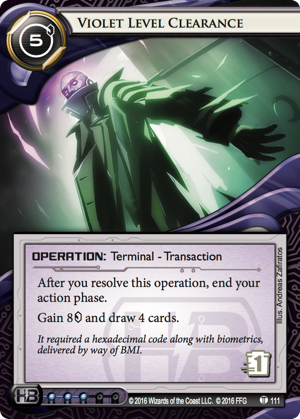 After all, it's hard for viewers to deny that Haas-Bioroid's developing new Violet Level Clearance security protocols (Quorum, 111) when they can watch you encounter them. 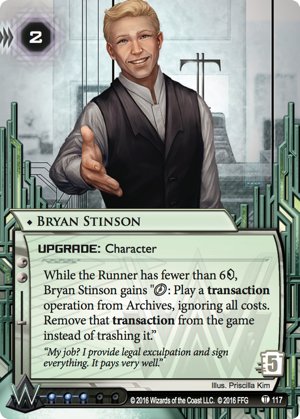 And it's easier to prove that Bryan Stinson (Quorum, 117) was signing for the development of shady—potentially illegal—tech when you can dig into the Corp's Archives and its HQ to pull up the specs and contracts. Even so, there are always some skeptics who doubt Smoke's reports. Or they'll suggest she's able to procure her information only because she's being paid to leak it. She's not hacking Weyland, they'll say; she's a Weyland stooge framing Stinson simply in order to advance another agenda. Most of the time, Smoke can ignore these comments. She knows her talents. She knows that if she's not the very best there is, she's certainly one of the best. And though there's very little that she feels she needs to prove to the doubters, there are still times that she'll want to prove herself, nonetheless. "Oh yeah?" she might say. "Watch me. I'll do it again." 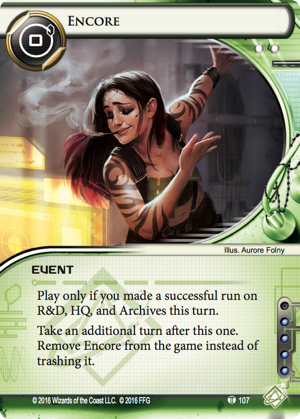 And then she will offer an Encore performance (Quorum, 107). What's better than that sort of proof? Not much. It'll hold pretty much anywhere. 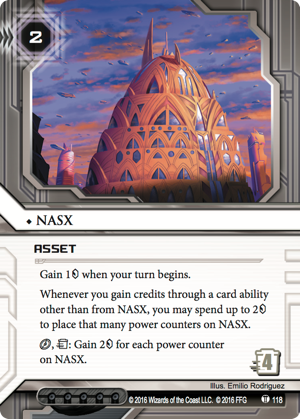 Whether you're looking forward to all the nasty things you can do to the Corps with the extra turn that Encore will give you, trying to guess what Haas-Bioroid might hide behind its Violet Level security, or simply hoping to get rich on the NASX (Quorum, 118), Quorum offers you a dramatic return to the sorts of tricks, traps, and cyberstruggles that have made Android: Netrunner a modern classic. The Corps have gathered to shape the future of New Angeles. It's back to business all over again. And no one wants the government to meddle. So get back to advancing your agendas. Get back to making your runs. Quorum is coming late in the fourth quarter of 2016. And at the end of the Flashpoint Cycle, it's time to get back to your regularly scheduled cybercrime!